Bodybuilding.com has assembled some of the best coaches in the world to show you how to transform every part of your body, mind, and life. Here are seven crucial lessons from them that you can put into action today! You can get some results by changing a little of what you do for the better. But, to sculpt your best-ever physique, you need a sound overall approach. You need to select a well-designed workout plan—and then stick to it, even when you don't feel like it. Work hard, eat the right foods, stay hydrated, and get all the sleep you need (and maybe more). Along the way, soak up all the tips you can from the experts. That way, your end point isn't just some "after" picture on a day when you look especially lean, it's looking in the mirror and knowing that an experienced, equipped lifter is staring back at you. Your "after" is really just the beginning of something far bigger. Bodybuilding.com All Access' 50-plus training plans are created by some of the world's best trainers. 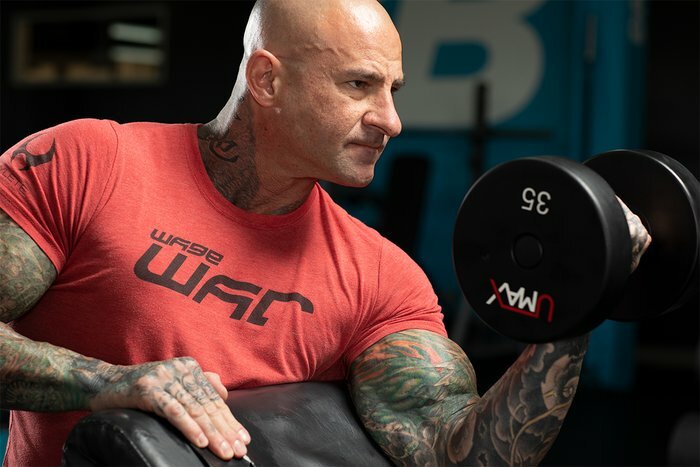 Jay Cutler, Hannah Eden, Kris Gethin, Ashley Horner, Jim Stoppani—these are just a few of the outstanding coaches who will walk you through their workouts and programs. They'll also each share hard-earned tips and tricks along the way to help you get the most out of each set and rep. Whether you're looking for the incinerating cardio and plyometrics of Hannah Eden's FYR, the pure muscular power of Jay Cutler and Kris Gethin, the weekly missions launched by Ashley Horner, or Jim Stoppani's explorations into the scientific basis of muscle building, All Access has got it all. All you need to do is choose the one that's right for you, and start hitting the gym. Here are a few tips to get you started down the road to complete transformation! It's a tale as old as time: You can lift a weight for a solid set of 8-10, so you add another small plate. And another. You get stronger, and you start seeing muscle where there wasn't any before. It should keep progressing like this forever, right? Alas, it doesn't. Eventually, the strength and size gains that seemed so easy at first grind to a halt—and maybe even slip backward. When the weights can't get any heavier, the true art of exercise programming begins. Both programs tweak the crucial variables that allow you to keep moving forward—not only sets and reps, but also exercise selection, rest periods, and exercise order, among others. Master the subtle dance between these, and you can truly keep progressing for years. If you want to add muscle, lift hard and rest between sets. If you want to lose weight, do cardio. So says the traditional way of doing things. And sure, this approach can help you make some progress. But to chase fat away like it's got a Rottweiler on its tail, mix strength and cardio with what Stoppani calls "cardio acceleration." "Instead of resting between your lifts, do high-intensity cardio between every single lift to fire up your fat-burning furnace," Stoppani advises in the third pillar of his All Access triumvirate, Shortcut to Shred. Of course, picking the appropriate exercise is paramount here. The right pick will help every workout be more effective. The wrong pick can ruin an otherwise perfect workout. When in doubt, go for non-competing body parts. So, bench press with bench step-ups is great, but bench press with battling ropes is only going to fry your upper body for your presses. "There's nothing to be gained by trying to keep up with someone who is on a completely different level than you. Find your own speed," says Hannah Eden, a highly sought-after trainer, entrepreneur, and philanthropist who works with top-tier fitness organizations including Reebok, Men's Health Magazine, and Lululemon. What does this mean for you? Sure, you can destroy yourself every day trying to keep up with an elite athlete's program or follow-along workout, but any gains you have are going to be temporary at best. And, once you get burned out and need a week or two off, it's that much harder to get started again. A better way is to be honest about your ability level, especially in the early going. In FYR: Hannah Eden's 30-Day Fitness Plan, she offers three levels of follow-along intensity. Yes, it's tempting to try to keep up with the highest level, which is Hannah herself, the first time through the program. No, we don't recommend it.